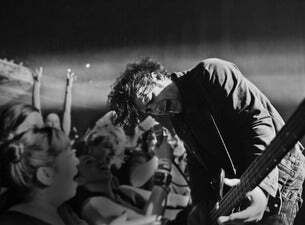 The Black Rebel Motorcycle Club were founded in 1998 by Robert Turner and Peter Hayes, who were both old friends from San Francisco. English drummer Nick Jago joined the group, which took its name from the legendary movie The Wild One and relocated to Los Angeles. The three-piece, often referred to as BRMC, is strongly focused on guitars and bass and distinctly under the influence of bands like Jesus and the Mary Chain, Joy Devision and the Stone Roses.